5 to 10 centimetres of snow and ice pellets will starting falling Wednesday night in Ottawa after another crisp, dry day. Change is on the way, but it won't be seamless. It's another frosty cold morning, with the wind chill near the frostbite advisory threshold of –25 until mid-to-late morning. The high should reach –6 C with increasing clouds and the wind will pick up as the day moves along. 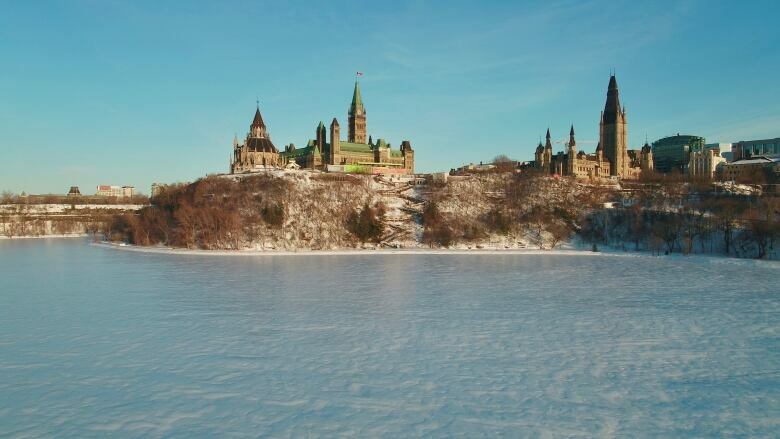 By about 9 p.m. the snow will start in Ottawa — mixing with ice pellets and overnight. You can expect to see between five and 10 centimetres before it tapers off tomorrow morning. There is also the risk of freezing rain on Thursday too in areas such as Kingston and Brockville, where the snow will start earlier and move through a full cycle of snow, to ice pellets, to freezing rain, to rain by the morning. Environment Canada has issued special weather statements for most of the region warning it could be icy on Thursday, just not in Renfrew County or the Pontiac. It's expected to be plain, ordinary snow in those parts. Thursday's highs will be around 0 C and those warmer temperatures should stick around through the weekend.